Friday at 12:05 p.m., a flight from Philadelphia will land at Charlotte Douglas Airport. This is not normally news, or history. But this flight will be both. If you happen to be in the terminal around that scheduled landing time make sure to stop by gate D-13 and look for US Airways flight 1939. It will be on the ground for two hours and then it’s off to Phoenix. When it takes off it will mark the end of an airline. "Customers will no longer see US Airways," says Katie Cody, spokeswoman for American Airlines, which merged with US Airways nearly two years ago. "All the logos will switch over, all the tickets will now be American." The two airlines will merge their reservation systems, their websites, their apps. All the kiosks, check-in desks--everything US airways--will be gone by Monday. "We’re upgrading from kind of that older metal, a little drab to much more modern wood paneling." But that older drab décor comes with a significant history. 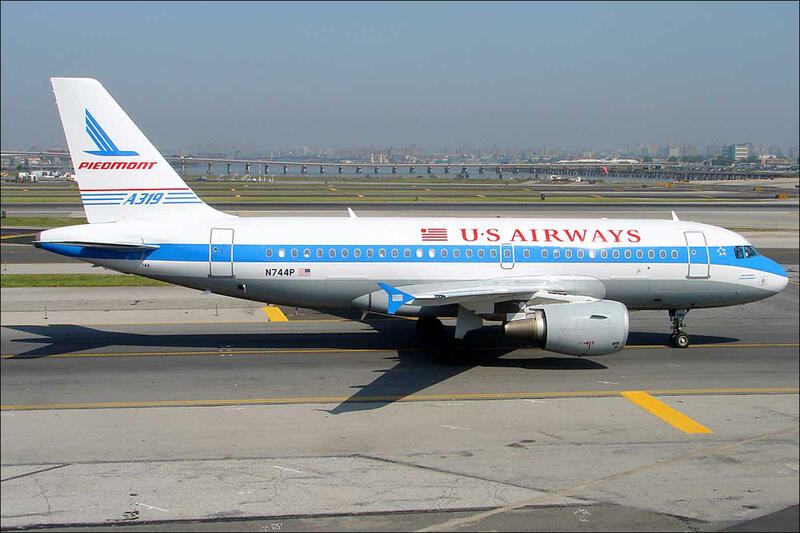 Which US Airways was keen to mark before all that stuff is scrapped, recycled or makes its way onto eBay. Cody points to that last flight number. "US Airways flight 1939 which is the original year of the start of the airline." Back then it was focused on delivering mail in western Pennsylvania and the Ohio Valley. It would be 10 years before the first passengers would board. And if US Airways wasn’t an All American-enough name for you, the company was originally known as All American Aviation. 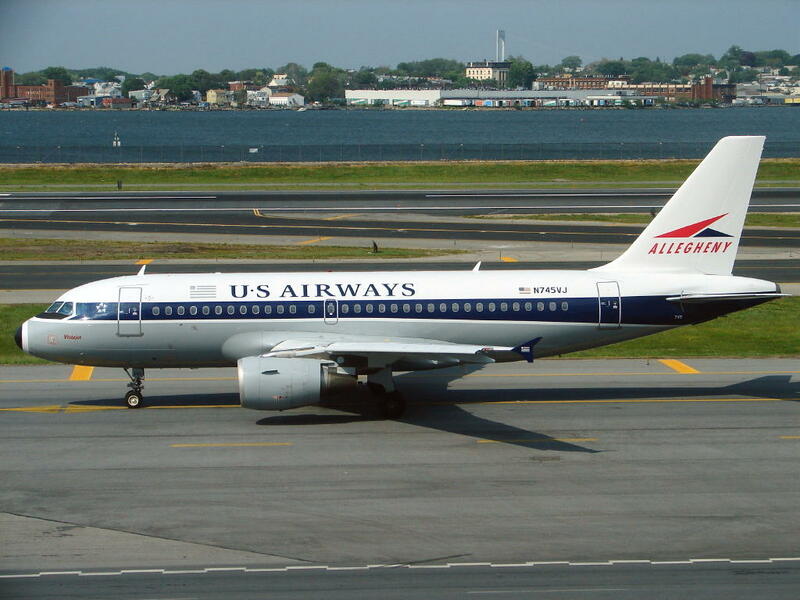 The route of this last US Airways flight is also a nod to its history. Starting in Philadelphia – a nod to the 27 years it flew under the name Allegheny Airlines. On to Charlotte, once the main hub of North Carolina’s homegrown airline, Piedmont, which was acquired by USAir in 1987. 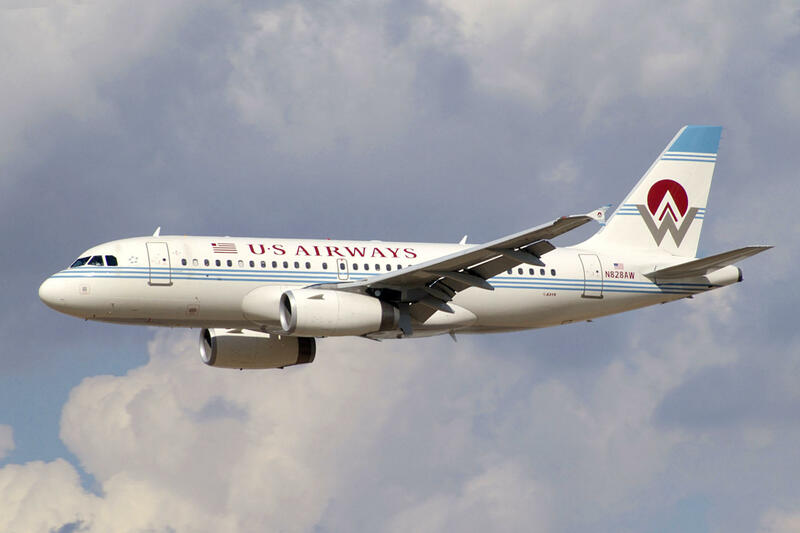 Then flight 1939 is off to Phoenix, once home to America West, which merged with US Airways in 2005. Then a northbound leg to San Francisco before making a redeye trek back to Philly. And when it lands, US Airways will be history. But that doesn’t mean you won’t still see a plane with that stylized flag on its tail parked at a gate. The planes still need to be painted says Katie Cody. "It takes a long time, so they started it last year and we’re hoping everything to be done by the end of 2016." Right now, she says, avoiding a turbulent technical transition has their full attention. "We’re really just focused on getting it right this weekend when the two reservation systems are fully integrated." Any glitches may leave passengers wishing for those good old days. American Airlines announced their first quarter profits Friday. And they were a record $932 million. It’s great news for the airline and their stockholders and certainly noted by North Carolina lawmakers. 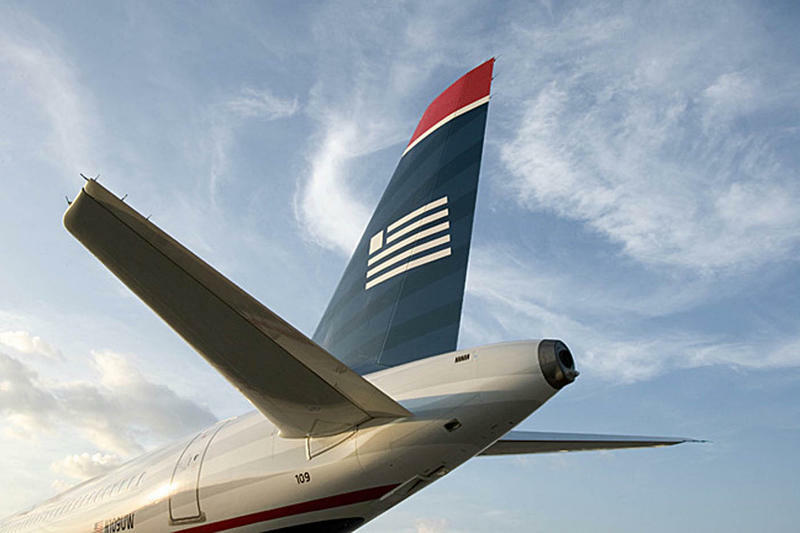 Some Charlotte hotel and restaurant managers aren't as thrilled as local officials about a possible merger between US Airways and American Airlines. They're worried it will mean fewer customers. A group of them has sent a letter to the mayor and city council addressing their concerns. Monday, Charlotte Douglas International airport dedicated a new rental car facility and the new hourly parking deck. It marks the end of an eight-year, $1.5 billion construction and expansion project. How did they celebrate? By announcing a new 10 year, $2.5 billion dollar expansion. 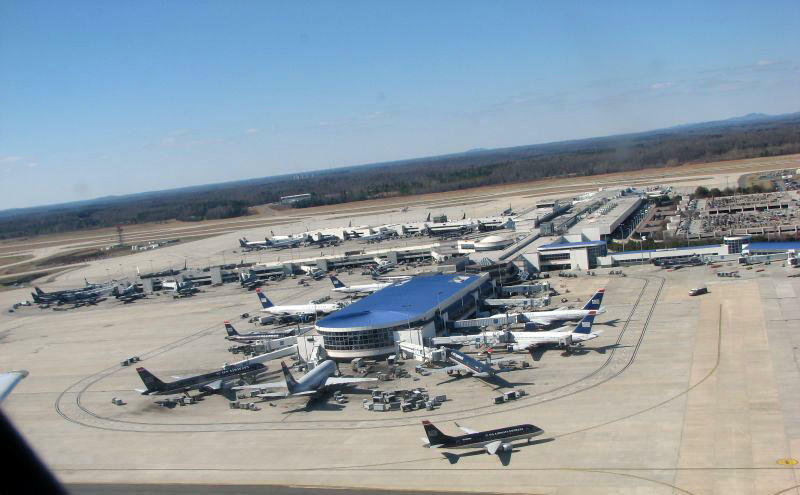 Should CLT Be A Flyover Airport? 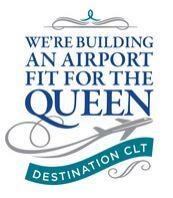 Charlotte Douglas International Airport has found itself in the news recently…albeit through no fault of its own. All because one man was allegedly willing to do just about anything to avoid catching a connecting flight in our (mostly) beloved airport. This led to the firing Tuesday of United Airlines CEO and a question about Charlotte, are we a flyover airport? Here’s WFAE’s Tom Bullock to explore that thought.